10:38 p.m. Someone rings at the door. Choice 1 / You open the door with your messy hair, a holey leggings, a shapeless sweat and your slippers and socks on. 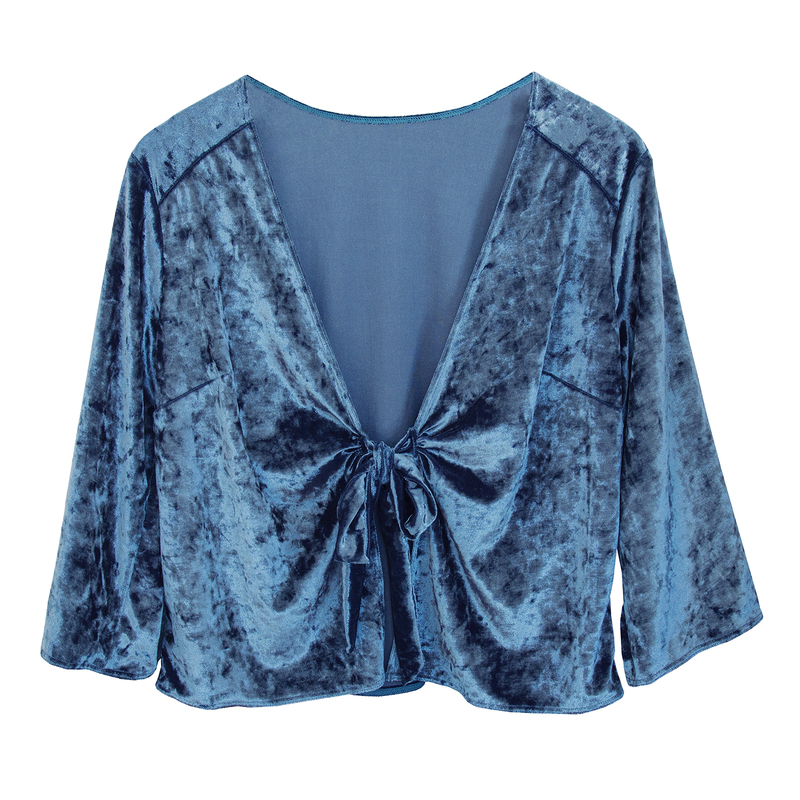 Choice 2 / You open the door, you wear a silky blue velvet pajama. Your hair moves in slow-motion and you are suffused with the best filter Insta light. That's the Blue Velvet effect. Éléonore wears a S size, she is a size 36 for 170cm. 94% Polyamide, 6% Elastane. Hand or machine wash in cold or warm water in a laundry bag.